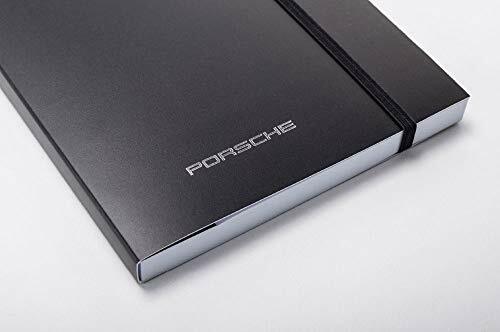 100 white, perforated pages featuring discreet Porsche logo. Filing system in front section . Integrated ballpoint pen. With elastic closure. Paper: 90 g/m². Dimensions: 150 x 188 mm. The Porsche gift / collection range is subject to availibity from the supplier and may take up to anything between 14 - 30 days for delivery if the item is not in stock in our supplier's warehouse.